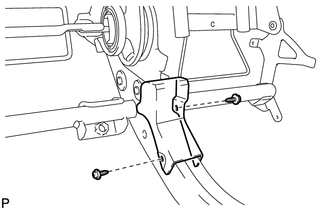 (a) Using a T55 "TORX" socket wrench, install the rear seat leg assembly RH with the 5 "TORX" bolts. 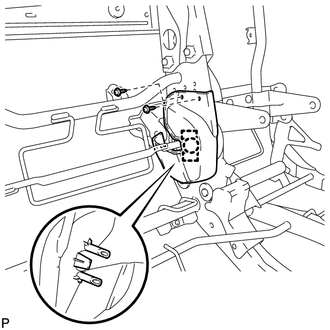 (a) Using a T45 "TORX" socket wrench, install the bush and "TORX" bolt. 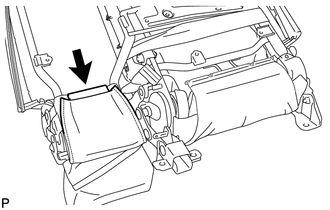 (b) Install the rear center seatback hinge with the bolt. 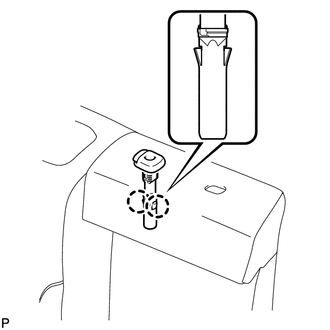 (a) Install the rear seat leg side cover LH with the 2 screws. 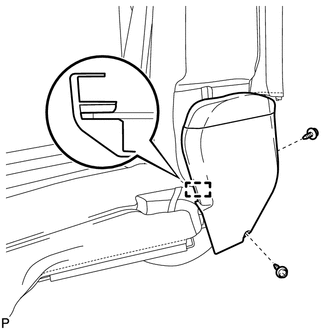 (a) Install the rear seat leg side cover RH with the 2 screws. (a) Install the 2 bolts. 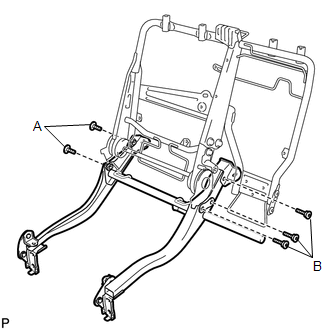 (b) Using a T45 "TORX" socket wrench, install the rear seat cushion frame sub-assembly RH with the 3 "TORX" bolts and 3 bushes. (a) Engage the claw and 2 guides. 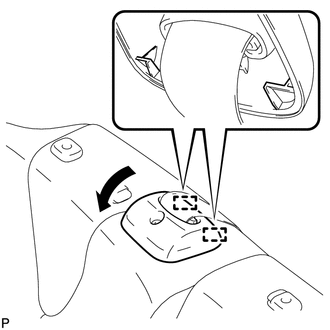 (b) Install the reclining adjuster inside cover LH with the 2 screws. 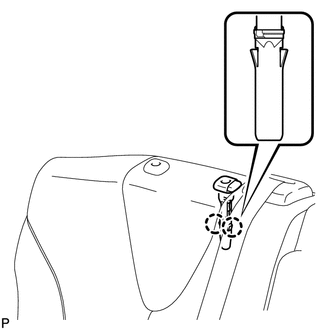 (b) Install the reclining adjuster inside cover RH with the 2 screws. (b) Engage 2 new clamps. 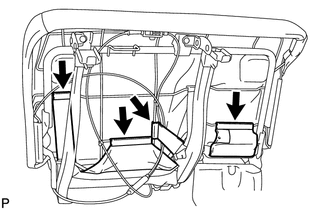 (c) Engage the 4 cable clamps to install the rear seat reclining control cable sub-assembly. (a) Using hog ring pliers, install the c with 10 new hog rings. 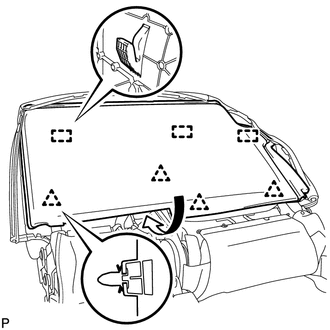 Be careful not to damage the separate type rear seatback cover. 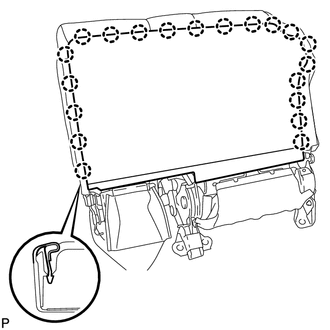 Be sure to securely install the hog rings as shown in the illustration while preventing wrinkles from forming on the separate type rear seatback cover. (a) Using hog ring pliers, install 3 new hog rings. Be careful not to damage the rear seatback cover. 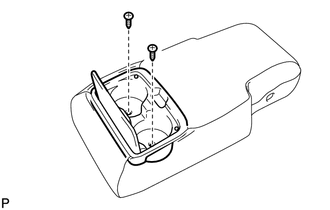 Be sure to securely install the hog rings as shown in the illustration while preventing wrinkles from forming on the rear seatback cover. (b) Using hog ring pliers, install 2 new hog rings. 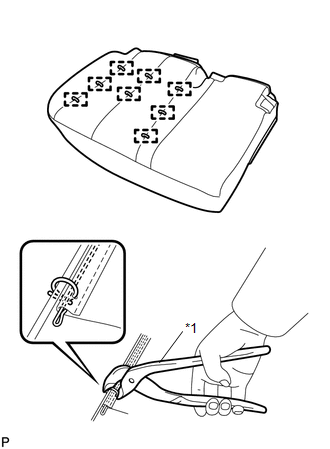 (c) Engage the hook to install the rear seat cushion cover with pad. 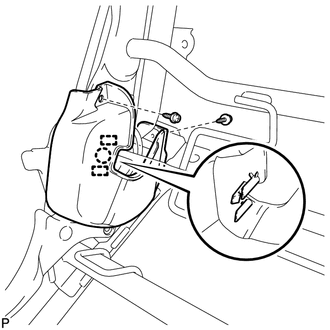 (a) Engage the 2 claws to install the rear seat center headrest support RH. 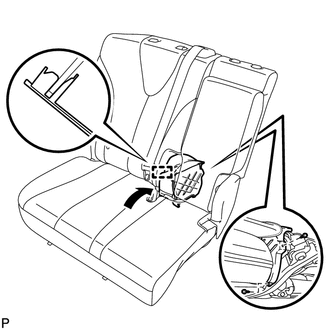 (a) Engage the 2 claws to install the rear seat center headrest support LH. 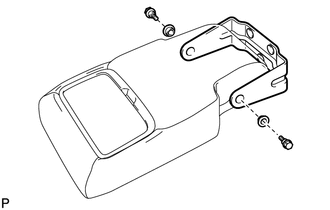 (a) Engage the 2 claws to install the rear seat headrest support RH. 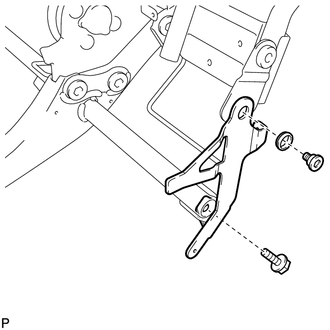 (a) Engage the 2 claws to install the rear seat headrest support LH. 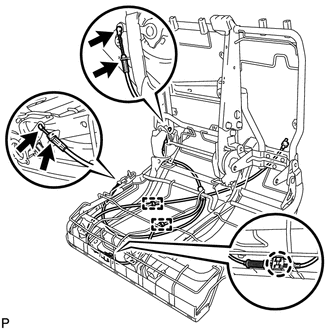 (a) Engage the 2 guides and claw, and install the rear seat shoulder belt cover as shown in the illustration. 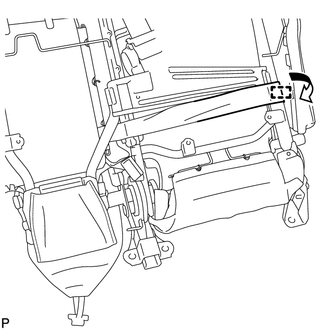 (b) Engage the 2 guides as shown in the illustration. 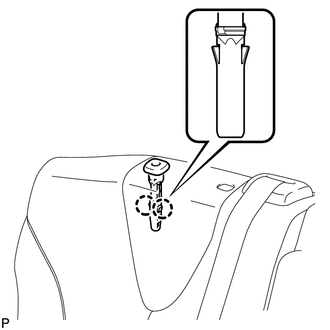 (c) Install the rear seatback upper lock bezel with the screw. 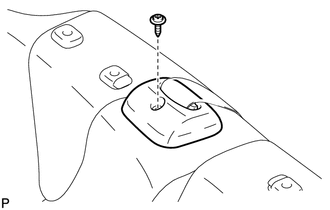 (a) Install the cup holder with the 2 screws. 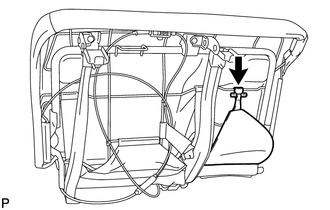 (a) Install the rear seatback hinge LH with the 2 bolts and 2 bushes. (a) Install the 3 nuts. 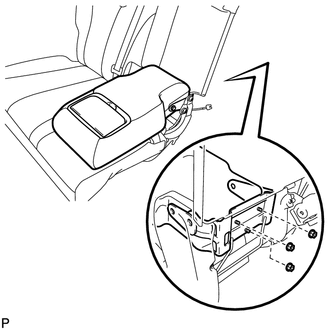 (b) Engage the hook and install the rear seat center armrest assembly. (a) Install the 2 new cup holder hole covers. 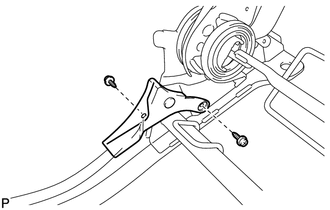 (a) Engage the 3 guides and 4 clips as shown in the illustration. (b) Engage the 20 claws and install the rear seatback board RH. 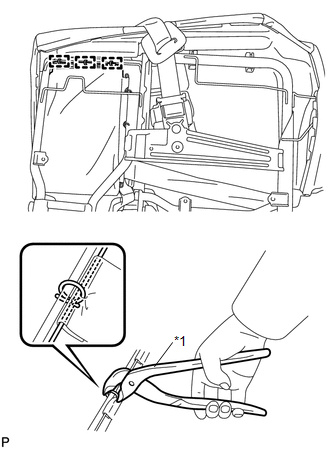 (a) Using hog ring pliers, install the separate type rear seat cushion cover with 8 new hog rings. Be careful not to damage the separate type rear seat cushion cover. 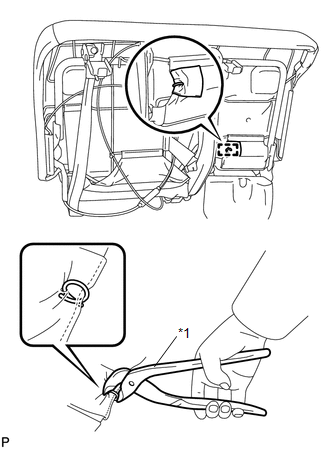 Be sure to securely install the hog rings as shown in the illustration while preventing wrinkles from forming on the separate type rear seat cushion cover. 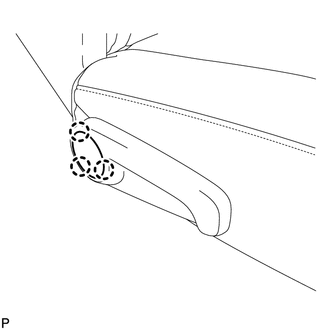 (a) Engage each hook as shown in the illustration. (b) Engage the 4 hooks. 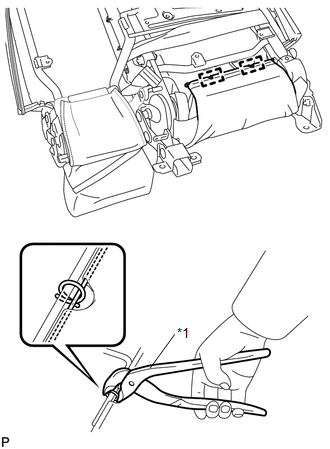 (c) Using hog ring pliers, install the rear seat cushion cover with pad with a new hog ring. Be careful not to damage the rear seat cushion cover. 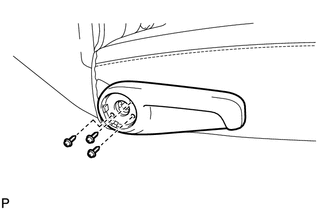 Be sure to securely install the hog rings as shown in the illustration while preventing wrinkles from forming on the rear seat cushion cover. 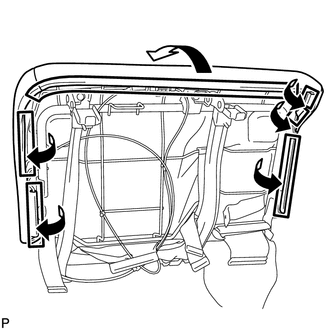 (d) Engage the hook to install the rear seat cushion with pad. (a) Engage the 2 guides. 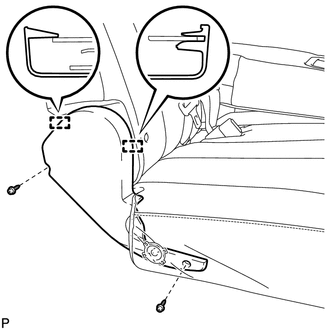 (b) Install the rear seat reclining cover RH with the 2 screws. 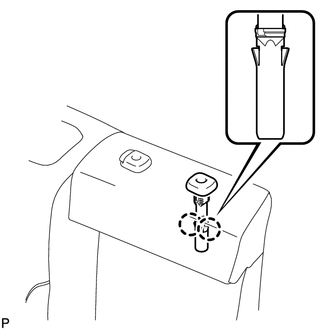 (a) Disengage the guide as shown in the illustration. 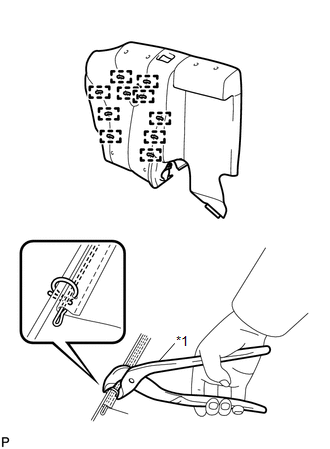 (b) Install the center seat hinge cover RH with the 2 screws. 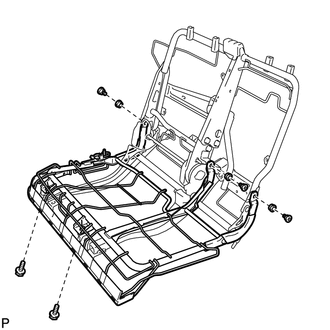 (b) Install the rear seat inner reclining cover RH with the 2 screws. 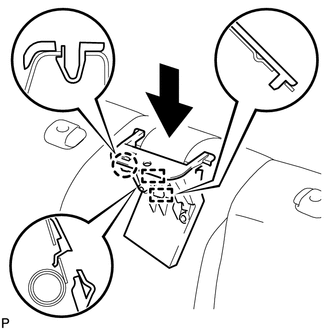 (a) Install the rear seat reclining release lever RH with the 3 screws. 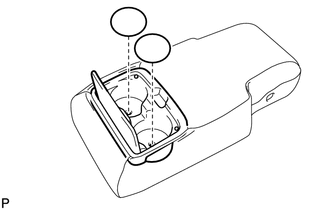 (a) Engage the 3 claws to install the seat adjuster cover cap RH.